The union representing Missouri’s prison guards tells a House Committee they can barely make a living on what they’re paid … one house member agrees. 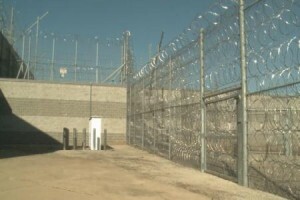 The Potosi Correctional Center houses the state's most dangerous criminals, icluding those on Death Row. Rep. Paul Fitzwater (R-Potosi) lives where the state’s most dangerous criminals are held, says he sees his community struggling. The Corrections Officers Association agrees. Director Gary Gross tells the House Appropriations Committee on Corrections that starting pay for a corrections officer is about $2,300. He says after paying into a pension, taxes and health insurance, that leaves approximately $1,000 to work with. And he says by comparison, those collecting unemployment receive more than $300 a week. Gross tells the committee guards depend on overtime to survive, and the Corrections Department has been given very little to pay overtime in recent years. He asked the committee to recommend more money for the department to pay overtime, which would help. Gross says even thought the unemployment rate throughout the state is around 9 percent … the hiring pools for Corrections in Eastern and Central Missouri are empty. He says recruiting efforts are in place while the department runs at about 80 percent staffing right now. The committee also asked Gross about the cost to train new guards, the turnover rate and which guards are eligible for raises or overtime pay. They told him they would take into consideration the concerns he brings to the table. The committee also talked to health officials from the Department of Corrections to get a handle on the rising costs of caring for inmates.